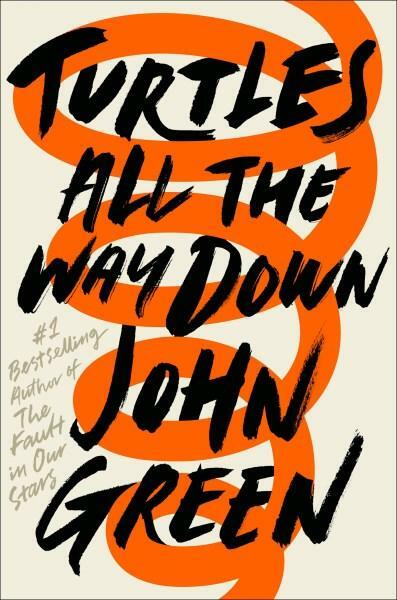 John Green’s long-awaited new young adult novel is sublime and I'm not just saying that because I'm a John Green fan. 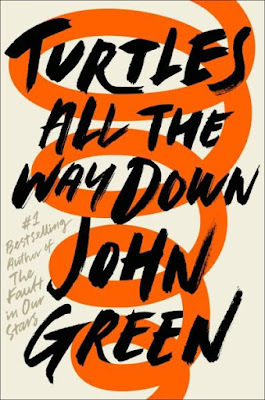 Turtles All the Way Down offers an honest and raw depiction of teen life and mental illness. It simmers in intensity on a regular basis. What begins as a mystery unravels into a deeper and more complex reality. Aza is 16. Her wonderfully chatty and relentless best friend Daisy convinces her they have to solve the mystery of the missing billionaire, Russell Pickett, for a $100,000 reward. All because Aza played with Pickett’s son Davis when they were kids and he’s their ‘in’. Aza gets to know Davis and the difficulties and parallels of both their lives become exposed to one another. The bond that develops between them is powerful and unflinching. They support one another unconditionally and offer each other strength and resilience in their darkest hours. They’re mature and smart teenagers who have had to grow up facing difficulties and challenges most teens take for granted. Their face to face, text and facetime discussions are intelligent and enlightening and cover quotes from poetry and famous poets and mathematicians, and discussions about constellations and meteor showers. A story about love in its purest form. Aza’s mental health is fragile as she constantly battles inner demons and tries to hide the extent of her downward spiral from those closest to her. Her OCD is affecting her life and she unintentionally makes her situation worse as she loses control. Daisy is a divine best friend and reminds the reader that it is almost always our closest friends that sustain and support us. As always, Green’s characters are real, flawed and in colour. His understanding and shared experience of mental illness ensures young people experiencing mental health issues are portrayed honestly and realistically. Issues of loss, grief, friendship, first love, and family all feature strongly, with the missing billionaire sub-plot adding mystery to the storyline. What money can and cannot buy becomes evident, and how the love and support of family and friends can’t be replicated. Oh, and there's a pet Tuatara (lizard-like reptile) that features prominently.